The FTSE is currently indicating a weak open, as traders waiting for the release of the UK Producers Price Index. Analysts are keeping close attention to see if inflation has started to affect the prices being charged by producers. Crude oil overnight, is paring its weekly gain, as the dollar climbed following Fed Chairman Ben S. Bernanke’s comments that monetary policy may be tightened once the economic outlook has improved sufficiently. Oil continues to trade in a tight range, and is unlikely to break out without some substantial news. 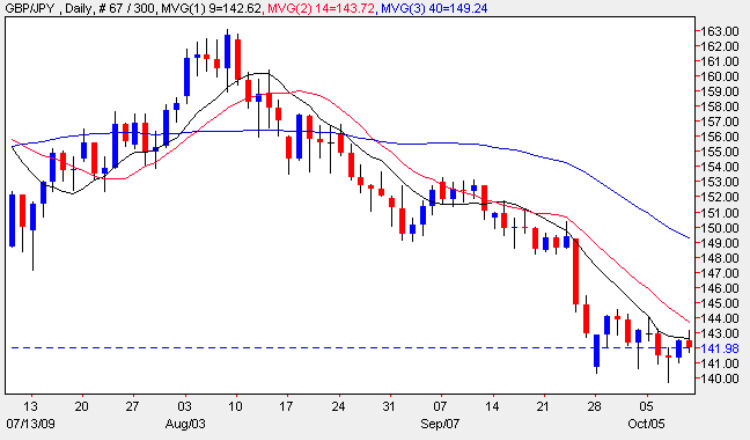 The GBP/JPY seems to have found some support around the 140.00 level, with that in mind a 3 day no touch bet on the pair with a trigger at 139.75 pays 19% ROI.